Have you tried something as simple as another cable? I have no issues on the Macbook, but whenever I use windows its very finicky, and I always have to resort to one usb lead that works. When there was the free upgrade from Win7 to Win10, I managed to use a genuine install into a Win7 VM to get a genuine Win10 VM. Once the “machine ID” was registered to the VM, I could then do a clean install of Win10 to a VM. Every so often I update that clean VM with all the updates, and then clone that for actual use. So I can have a “genuine” clean Win10 VM up and running as soon as it copies about 25GB. Literally all the 13 year old’s and the majority of my 10 year olds homework is google docs based. morning all So I’m trying to figure out why the i2 when on the latest fw would give a message incompatible modules when the NFZ data base had been removed so clearly it’s to do with DJI locking everything down on the latest versions, we rolled back the fw to before the anti roll back was introduced and the i2 was unlocked from incompatible module lock down. 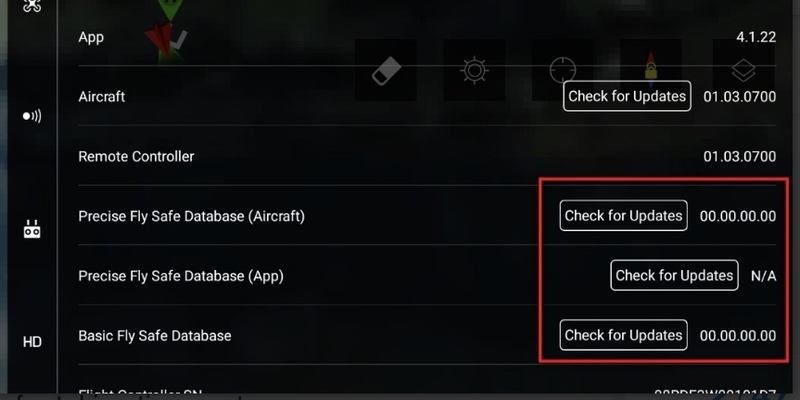 We have precise flysafe database at 00000 but app and basic database didn’t zero out when removing precise data base could anyone shed some light on this ? One of the pictures is off here with the data base at zero and the other is my fw versions . Any help would be appreciated. Sorry for the long delay on my reply . finally got it working on Mac and in Ubuntu terminal . But I cant remove the NFZ yet . I got the ADB enabled with DUMLdoreV3 . These are the Errors I got in the process . And also , when I want to find out the 0905 part to remove , I cant find any that matches in the backup folder . Hope anyone can Help me on this . The Phantom 4 has firmware version 01.02.0503 and now Im trying with version 01.02.0602 . Thx all for the Help !!! Any Idea on this issue Im having ? Maybe , Im doing something wrong ? Is there any other way to remove the NFZ from the P4 ? Sorry @Alex063 I don’t have a P4 I order to compare folder structures. That error would suggest a few possible causes. Thank you again , and youre right , Its another topic . but for some reason the update never started . Just said , tranfering to device . I tryed the process again , but no luck either . Any Idea on this particular problem ? What Im doing something wrong ? Not so many people have been down this route, unfortunately. I’m sure anyone that can help will pipe up with suggestions as soon as they’re about. 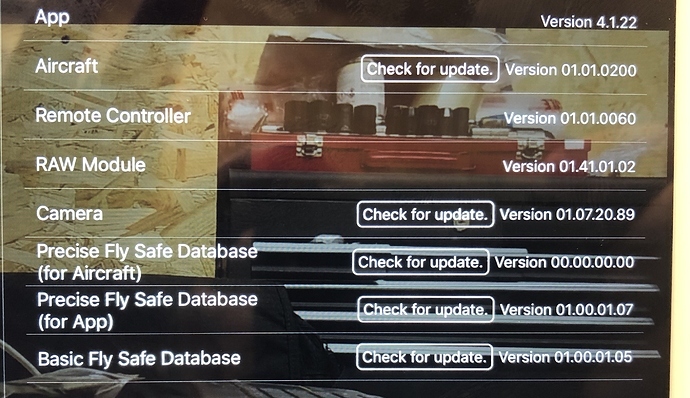 After the failed updates in the DJI Assistant it reads the number of the firmware but with a - at the end .